Tweetpuppy.com historical owner info, name servers, Analytics ID, Adsense ID, Addthis ID, advertisers, screenshots, meta tags, whois, site and server info. Profile analysis with statistics, social presence, and much more about Twitter profiles. 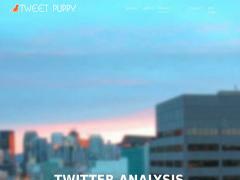 Sites related to Tweetpuppy.com based on metadata.